Purpose: To strengthen communities through addressing the reinforcement of the individual youth of the community. Description: In a culture that is economically the poorest of the poor, and has seen extensive change in recent years, the youth are certainly the greatest resource available. 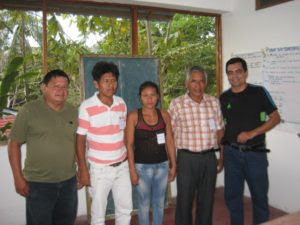 Recognizing the need for social stability, APECA, with the Peruvian Ministry of Health, has developed an approach that seeks to strengthen communities through addressing the reinforcement of the individual youth of the community. The leadership training classes use solution-focused methods that encourage the volunteer participants to work with each other and government agencies. With these improved skills, they become the strength of their local community. APECA, with the Ministry of Education, conducts leadership training classes. This project teaches people how to work with each other and with government agencies to provide the needed services to their remote villages. Relationships evolve, emerging from the awareness we have within that tell us when we are safe, in danger, happy, sad, trusting, or fearful. Every culture has a way of teaching their experiences to the next generation, intuitively preparing their off-spring with the knowledge needed for survival. APECA is formally registered with The National Government, The Regional Government, and collaborates with the Ministry of Health, Ministry of Agriculture, Ministry of Education and Ministry of the Environment in Peru. 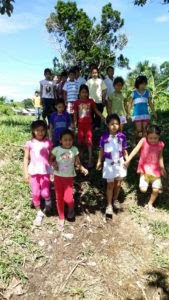 Recognizing that education is the most effective form of empowerment, the APECA program, with its projects seeks to empower the under-served villagers of the rainforest villages. APECA has developed an extensive network of collaborators within the Region of Loreto. The greatest numbers are leaders in communities throughout the region, however, there are many government officials, medical professionals, and school authorities collaborating to achieve the many success of APECA’s program. Community relationships throughout the region are the true strength of the organization. Over the course of its existence APECA has provided direct services including education and first aid. APECA has kept promises made to village communities, and has consistently demonstrated to villagers that APECA exists to help them help themselves.